Since 2014, owner/driver Ed Carpenter has split the driving responsibilities for his no. 20 car in the Verizon IndyCar Series. Carpenter has remained behind the wheel for the oval races, and has hired a driver to run the road and street courses. After Spencer Pigot was moved to a full-time role in the team’s no. 21 car, Carpenter was tasked with finding a driver to run the non-oval races in his other car. In January, Britain’s Jordan King was announced as the driver to fill that role. Although King, a native of Warwickshire, may be unfamiliar to most fans of the series, he brings a wealth of experience with him to his new ride. The voyage to the Verizon IndyCar Series for King started in 2005, when he began karting. King won a championship in the FIA/CIK KF3 Series, and a win in the British Kartmasters GP. In 2009, king tested a Formula Two car. The next year, he moved up to Formula Palmer Audi and earned a pole in his first start, and also competed in Formula Renault’s UK Winter Series. King made 20 starts in Formula Renault’s UK Series in 2011, earning one podium finish for Manor and competed in four rounds of the Formula Two Series. However, it would be the MRF Formula 1600 India series where King would shine that year, winning four races and notching six podium finishes en route to the season championship. The Briton would continue running multiple series in 2012, earning runner-up finishes in the Formula Renault 2.0 Northern European Cup standings, as well as the MRF 200 championship with Team Sidvin. King also earned a fifth-place finish in the Toyota Racing Series with M2 Competition, accumulating one win and four podium finishes. Moving up to British Formula 3 in 2013, King shined. After amassing three wins and eight podiums, he was crowned the series champion. He would also finish sixth in the FIA Formula 3 championship, earning two podium finishes along the way. 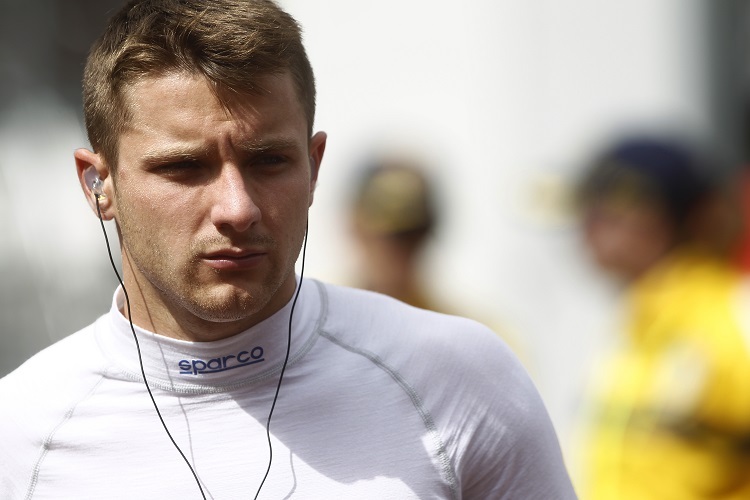 King moved onto the FIA Formula 3 Series full-time with Carlin Motorsport in 2014. After seven podium finishes during the season, he would end the year seventh in points. 2015 would prove to be a year of more accolades and improvements for King in his racing career. After joining the GP2 Series with Racing Engineering, King earned one podium and finished 12th in the season standings. King, who was also selected by Manor Marussia F1 to serve as the team’s development driver, would see his efforts recognized by the FIA. By season’s end, he was named FIA Institute Driver of the Year by the governing body’s Young Driver Excellence Academy. While remaining in GP2 with Racing Engineering for the 2016 season, King earned two wins and five podium finishes, propelling him to a seventh-place finish in the season standings. Continuing in his role as Manor’s development driver, he also participated in the first practice sessions in the United States Grand Prix and the Abu Dhabi Grand Prix during the Formula 1 season. 2017 would prove to be a disappointing season for King, by his own admission. In the rebranded Formula 2 Series, the Warwickshire native competed for MP Motorsport and despite collecting a top ten finish in 12 of the 22 races last year, he would finish no better than fourth at the season opener in Bahrain, and ended the year 11th in points. On January 4, King was named as the road and street course driver for Ed Carpenter Racing’s no. 20 car. In a team press release from that day, King expressed excitement about his new opportunity in open-wheel racing. Carpenter, the team’s owner and driver of the 20 car during the oval races in the Verizon IndyCar Series, mentioned their first meeting more than a year ago and relayed optimism about his new driver’s future. “We are very excited to welcome Jordan to the ECR family and to have him in the No. 20 Fuzzy’s Vodka Chevrolet for the 2018 road and street course races,” proclaimed team owner Ed Carpenter in the release. Road and street course races make up 11 of the 17 races on the 2018 calendar in the Verizon IndyCar Series, a fact King himself spoke positively of after the announcement of his hiring. “Sharing the No. 20 seat with Ed gives me a great opportunity to learn from him and the team, while racing at the road and street courses will let me put into practice what I have learnt,” said King. Earlier this month, King also was given the opportunity to test an oval with the team. As the driver enters a new series on a part-time basis, the optimism from both King and Ed Carpenter Racing regarding the 2018 season and beyond has been clear during the past few weeks.